This looks like it might be worth the $60. to try out. 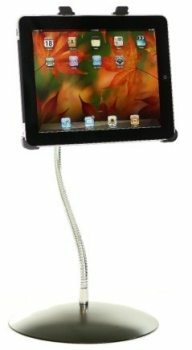 It is a bracket for holding the iPad in place and is flexible to twist and use the iPad for a document camera. Of course it wouldn't be as elaborate as a doc camera but for $50. would it be worth it? Or would it work with the cases we have? It would be too much hassle to take the iPad out of the case. Hmmm!